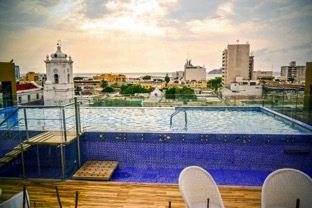 A quick guide to the best hotels in Santa Marta downtown. 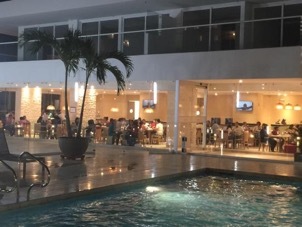 The best hotels in Santa Marta are located in downtown, famous for it’s “outdoor activities”, so if you are going to stay in Santa Marta it is important to find the perfect place to rest after a day in the Tayrona National Park or one of the beaches. Although the city is small, it offers great variety of accommodation, from charming boutique hostels to big hotels, most of them are in the Historic downtown, this being the most emblematic place in the city and with different activities in the area. 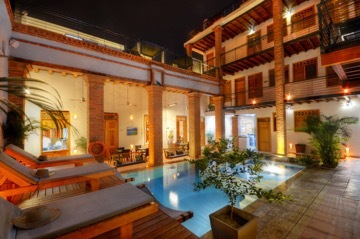 Characterized by it’s relaxed style, pools and jacuzzis, this boutique hotel is one of the best accommodation options, the staff that works at the hotel is local and they have very good tips on how to enjoy the city. You can not miss your boat tour in Samoa which takes you to the most beautiful beaches of the Tayrona Park. The best thing about this hotel is that it has its own private beach, get ready to be in one of the most comfortable rooms of your trip, the breakfast buffet is one of the best reasons to stay there, along with the pool bar, turkish bath and gym. If you feel that your travel days have generated some stress, be ready to pamper yourself at the it’s spa. The location of this hotel is perfect for travelers, because it is only 10 minutes from the airport. This is one of the best hotels in Santa Marta, with a great view of the most acclaimed church in Latin America is right in this hotel, relax in it’s infinity style pool, enjoying it’s excellent buffet and the parties that take place on the rooftop, you will find true comfort, it is worth mentioning that the the wall system of their rooms won’t allow the sound along with the light that will be blocked guaranteeing you a pleasant stay. Tip: the location of this accommodation, along with the price and quality makes it one of the best options for travelers. 4. 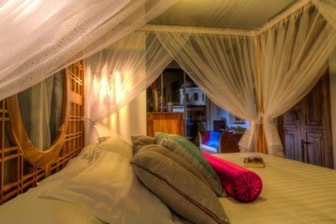 Casa de leda boutique hotel. The decoration of this boutique hotel is the best and make it perfect for couples, the establishment have pools and jacuzzis on almost every floor, it is well located and breakfast is local with a gourmet style. One of the great pluses is the type of bathroom, with hot water and different showers, all the rooms have big closets for in case you have decided to carry many suitcases with you! Tip: Get up a little earlier and enjoy the beautiful view while having your breakfast. If you are looking for a good hostel in Taganga, take a look to our Magic House, we are local hostel with breakfast included. Did you like this guide? Help us to share! Previous post15 Things you’ll learn when backpacking in Colombia. Those hotels are grand and beautiful. 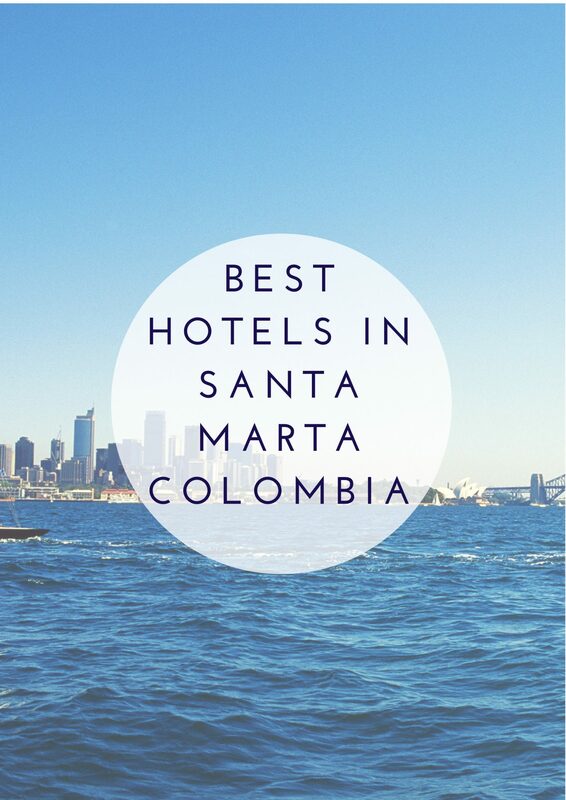 Must be so wonderful to be able to stay at one of those hotels when visiting Colombia. Undoubtedly Rea! you should visit it when you come here! Woow . These are really a beautiful places in columbia to be. Will really hope to check this out and share. Thanks for your read us Rawlings! Good vibes for you! Oh! Thanks for reading us, dear Latersa! Great post :) always good to get an insiders opinion before booking accommodation when travelling! For sure, dear Jessica! We try the best for you!